A Christmas Story. Miracle on 34th Street. A Charlie Brown Christmas. It’s A Wonderful Life. Let’s face it though – there’s some really strange, really bad Christmas “classics” that get trotted out every year. Have you watched Frosty The Snowman lately? It’s just…weird. The Santa Clause is fantastic, but unfortunately The Santa Clause 2 and 3 exist. Vince Vaughn allegedly made a couple of movies called Fred Claus and Four Christmases, but I haven’t seen them and I’d like to continue pretending they’re not real thank you very much. It makes me sad every year when crappy Christmas movies make the cut and underrated gems become further lost to time. So I made it a point to spend one day writing about the Best Christmas Movie You’ve Never Seen – Emmet Otter’s Jugband Christmas. Emmet Otter, based on the book of the same name, was a Jim Henson special created for HBO in 1977. It bounced around the cable landscape in the 80s and 90s (I always remember seeing it on Nickelodeon) but it now seems to be buried somewhere in the Disney vault. The movie focuses on Emmet and Ma Otter. They’re a humble, working family who lost their patriarch a few Christmases ago. The Otters don’t have much – they work odd jobs to earn every penny they can. But they have a joyful outlook on their life on the pond, singing as they paddle their boat from house to house doing laundry, fixing fences, and peddling their wares. It’s two days before Christmas, and the town talent show is about to be held. Emmet and Ma both hear about the $50 prize and wonder what they could get the other for Christmas if they won the contest. Emmet would love to get his Ma a piano, but he’d have to put a hole in the family’s washtub so he could join a jugband to win the prize. Ma would love to get Emmet a guitar (with mother of pearl inlay), but she’d have to hock Emmet’s toolbox to get enough to buy a dress to wear to sing. In the spirit of Pa, who always encouraged the family to take risks in life, Emmet puts a hole in the washtub and Ma sells the toolbox, each without the other knowing. When they get to the competition, they both perform admirably. And they both lose. 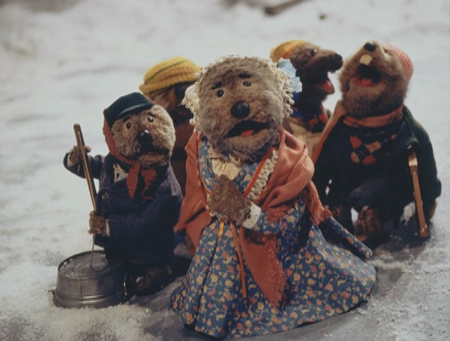 Ok – I should have mentioned Emmet Otter’s Jugband Christmas is kind of a sad movie. The Otters lose their money-making tools, come short in the competition, and aren’t able to afford any Christmas presents. Not your typical jugband jubilee. But as the Otters travel home, Ma and Emmet’s band realize their talent show songs sound sort of similar. They start singing together as they pass by local restauranteur Doc Bullfrog, who invites them to be the new house band at his diner. I love Emmet Otter because of it’s crude, you-can-still-see-the-strings puppetry. I love the music. I love the humble spirit. And I love the message. Emmet and Ma worked and hoped and risked it all but they still didn’t get what they wanted for Christmas. Yet the gift they did get is so much better than winning would have been. The funny thing about Christmas is you don’t always get what you want. There’s all this talk about gifts and the spirit of giving and the ultimate gift of Jesus. That’s all well and good, but deep down inside we all have our lists of what we want, even when all we want is to give the perfect gift to someone. Sometimes though we just don’t get it. And you can’t help but be disappointed when you don’t get exactly what you want at Christmas. What we get at Christmas is family. Jesus doesn’t offer us a new car with a shiny red bow on top. He doesn’t offer us a new piano or guitar with mother of pearl inlay. 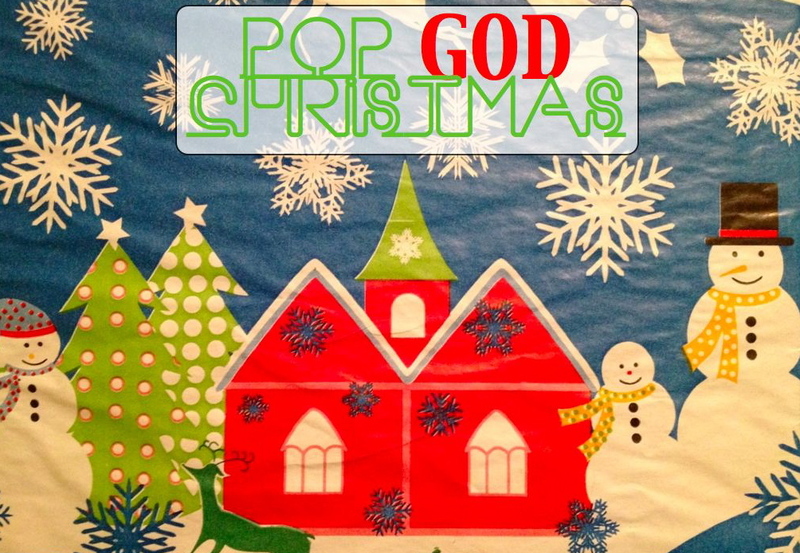 As incredible as Jesus is, we can’t depend on him for the shiniest gift at Christmas. Instead, Jesus invites us into His family for Christmas. He entered our world as a baby to adopt us as children of His Father God. The gifts we want in this world will never be everything we want them to be. Even finding the perfect gift to give can’t fill our hearts. Only when we are together as one with our true family will we find the fulfillment we want from Christmas. It might not be exactly what we want or hope for at this holiday. But this is what we get. And ultimately this Christmas gift will be what we sing about for all eternity. My very favorite Christmas movie!! Thanks for reminding me of that sweet movie!